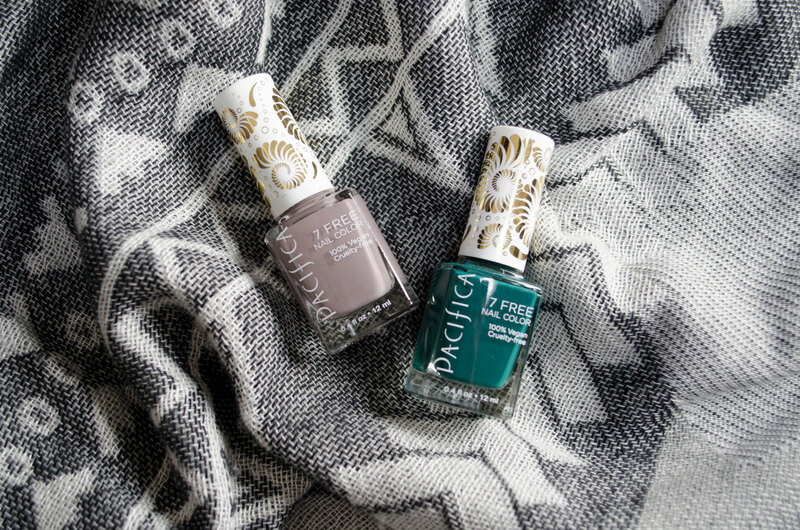 I featured these Pacifica 7 Free Nail Colour vegan & cruelty-free nail polishes on my instagram a couple weeks ago. The day I featured them was after they arrived in the mail, and I have been trying these colours ever since! 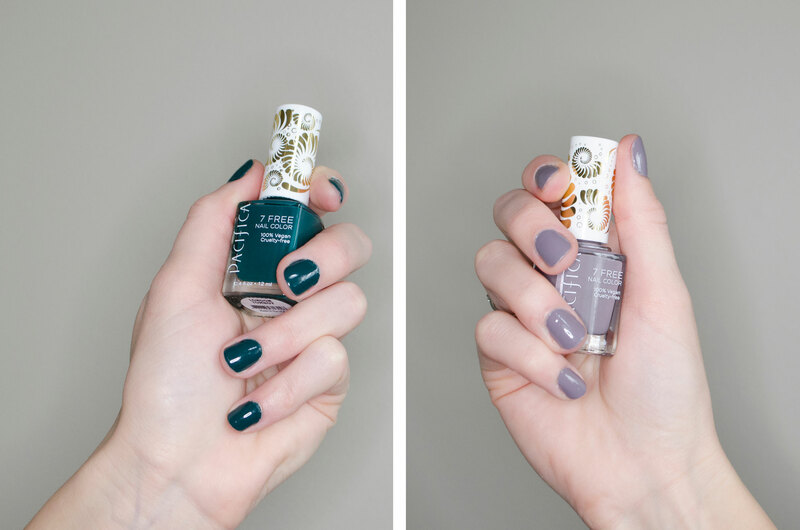 With 29 shades available there is a goos array of shades in this collection and I decided to pick out two to try the formula and application – London Tomboy and Drift – as these shades most suit my personal style. 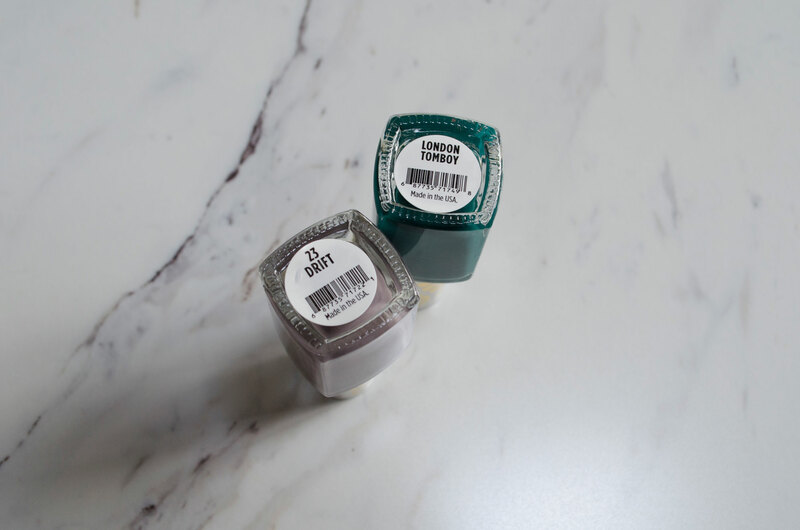 Left: London Tomboy – described as a jaguar green (I’m thinking because of the luxury cars), is a deep emerald with a slight blue undertone. 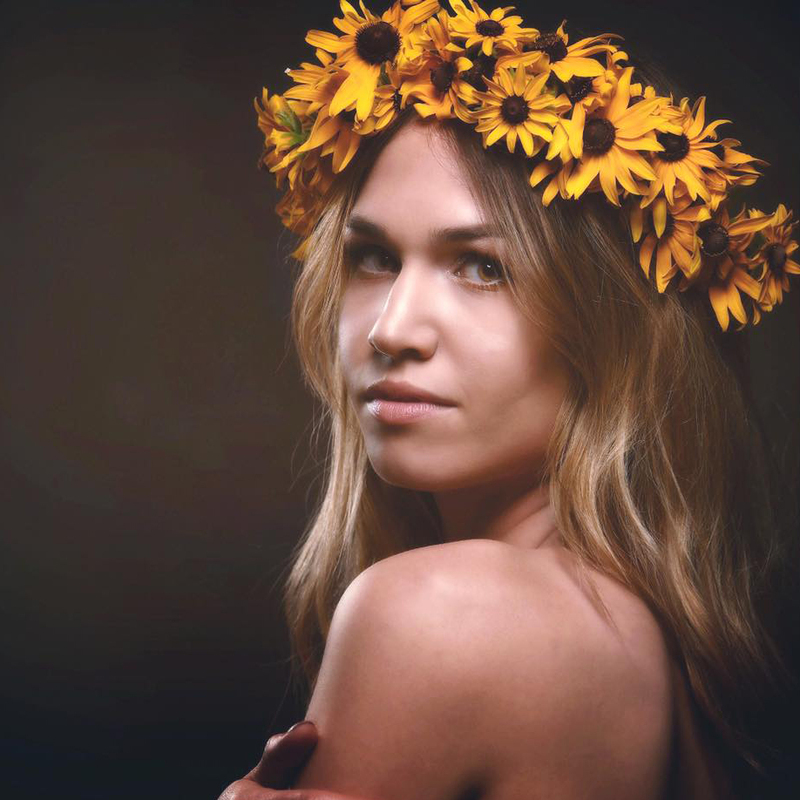 There’s something elegant about the colour, yet the effect can also be quite grungy depending on how it’s styled. I’m so happy to have added it to my collection because it’s going to be a go-to for me! 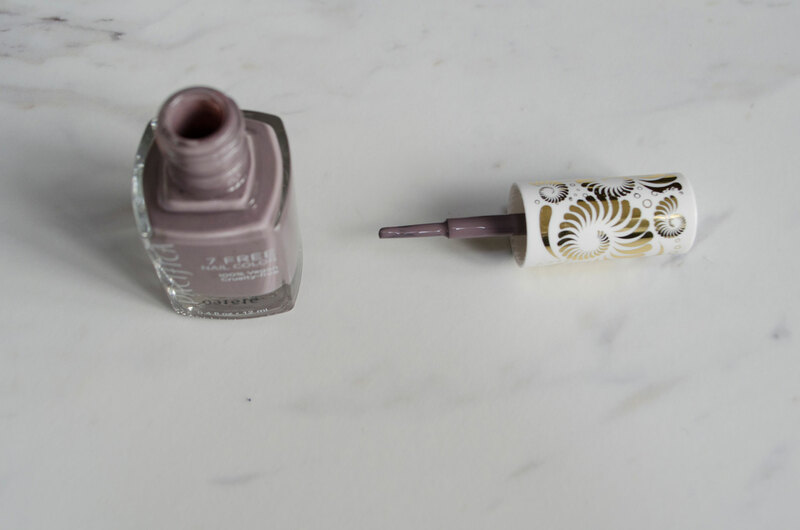 Right: Drift – described as a tan, yet it is a a smoked purple in my opinion. It definitely reads neutral, and has a lot of grey base in it, but there is nothing tan about this colour. It’s a great “go with everything” sort of neutral shade and I have a lot of this type of colour in my collection for that very reason. In 2014 I deemed this type of colour my favourite nail polish shade and that still reigns true! These polishes from Pacifica retail for $9USD (which is about $11.85CAD) each – which is a pretty standard price point for nail polish, in my opinion. Some other brands at comparable prices are not cruelty-free or contain all the nasty chemicals that this formula is made without. Pacifica is always a great resource for better ingredients and amazing ethics, and that’s why I’ve been actively trying to feature their products here over the last month or so (and will continue to do more of) so I’m happy to let you know how impressive I found this polish formula! Easy application, London Tomboy was opaque in just one coat, a great brush and decent lasting power. These polishes last me about 5 days before chipping, and most formulas chip in 1-2 days on me. I wish I decided to pick up some of the shimmery shades to compare, but the colours I selected definitely are my personal style! I think I will definitely be picking more of these up in the future, although I do wish they were more accessible to me in Canada. The shipping was quite slow and I got hit with duty upon delivery for my Pacifica order I placed through their website. If you guys know anywhere in Toronto where I can get my hands on these, please let me know! Have you tried this formula and will you? What other things have you tried from Pacifica that I should try next time? !